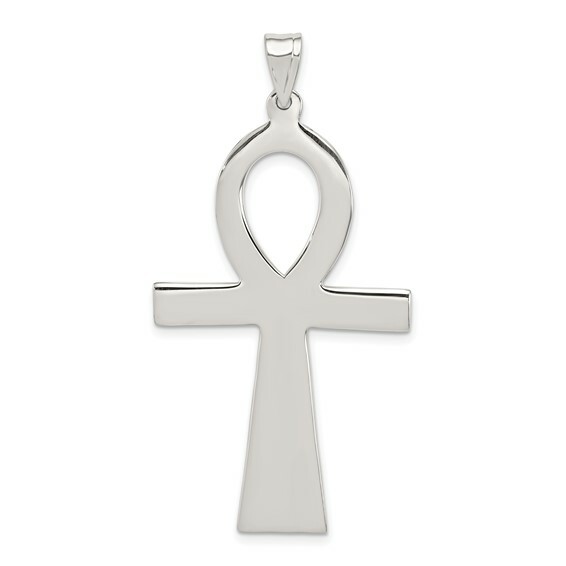 This large sterling silver ankh cross pendant has a smooth polished finish. Weight:6.19 grams. Measures 1 5/8 inch tall by 1 inch wide without bail. Adopted by the Christians to recall Christ as the tree of life, the Ankh or Egyptian cross was taken from the Egyptian hieroglyphics image meaning life.